If you happen to be a "pale face" (like I very often call myself), this post will give you an inside take on how I go from being ultra pale to beautifully bronzed. For those that wonder why I just don't tan naturally by the sun.....FYI I don't tan, I turn red like a lobster (true story). Plus, sunrays aren't necessarily the best for you as they can cause unwanted sun spots and skin cancer if you're not cautious. 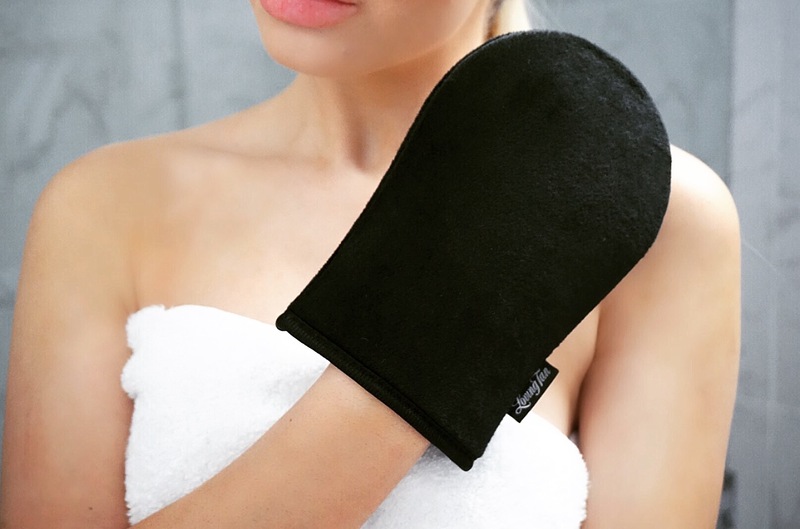 Today, I have partnered with Loving Tan to bring you my at home tanning routine. 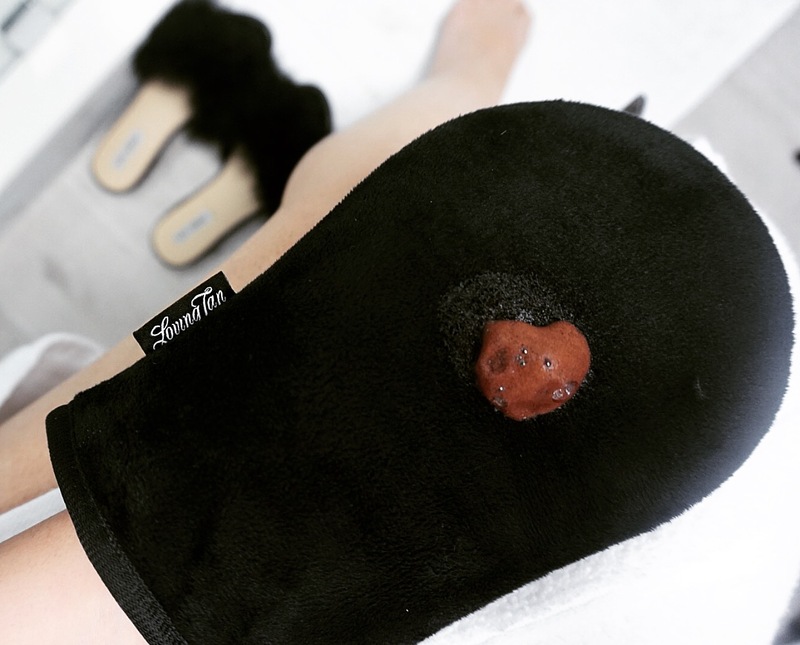 Below I have listed my steps, tips, and other informational info you may have if you're a first timer at self tanning. As per my routine, I do this about every two weeks. 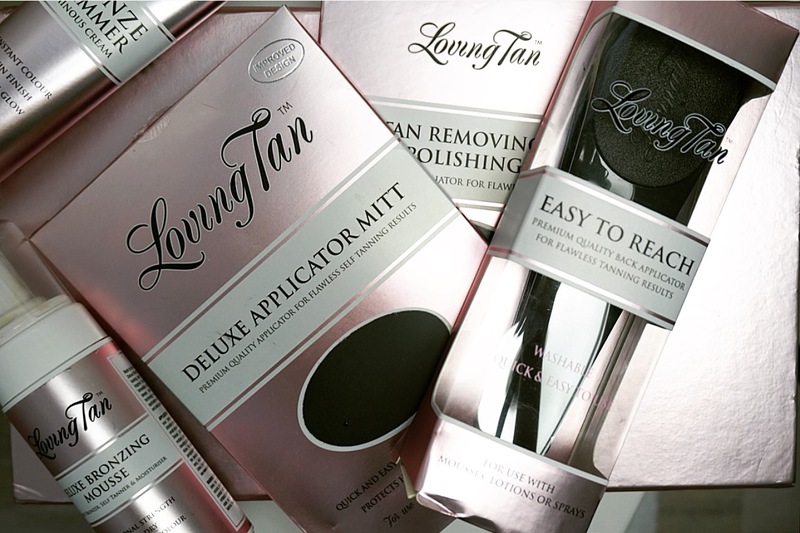 With Loving Tan, it's amazing how long lasting your tan stays. For myself, my tan usually lasts a week and it lingers a little bit past that....But, towards the end of the week I often just remove what is left. Removing the remains of the color can be beneficial because not only does it exfoliate your skin, but it also gives time for your pores to breathe. I've never been a huge fan of doing this weekly, because I do like to give my skin a break from the tanning. Hence, why I tan between every 2-3 weeks. With that said, the ingredients in the Loving Tan products are very healthy for the skin and they also smell delicious (A MAJOR plus...No one wants to smell like a fake tan). There are honestly a ton of self tanning products out on the market that will leave you smelling like a tanning salon. I firstly start off with the Deluxe Bronzing Mousse (this is what will give you the color). I use the product in the medium tone. It's the perfect middle shade for those as white as I am. I cannot stress enough how Loving Tan uses a BROWN tint....never orange (keep those tanning nightmares away). I always use the mitt to prevent from any product getting on my hands & eventually staining them. When I apply the product to my skin I apply it ONLY in circular motions. This will prevent from streaking. However, streaking is nearly impossible with the Loving Tan products as they dry off very quickly. Since these products dry in an instant, you never have to worry about any of the color rubbing off on clothing, fabric, etc. (p.s) I start on my routine after I have showered and exfoliated. I usually do this in the evenings before bed (this will give the color 8-9 hours to set). I then shower in the morning to rinse off any excess. I cannot begin to explain how much I LOVE this product. Have you ever obsessed over JLO's glow? 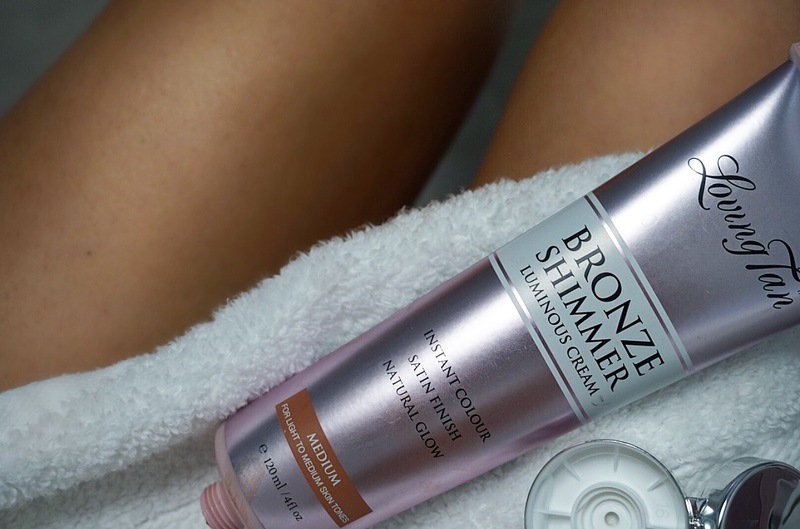 (I clearly have, and very often still do- major fan girl here)....Anyways, this Shimmering Bronzer is the perfect product to apply once you have used the mousse. It leaves you looking glowing! This product can also be used if you're on the run (to a night time event, or just any moment where you'd like to give your self a little shimmer). I'd say this is the perfect highlight to your tan. Hope you enjoyed this beauty post, and for you lucky ladies that naturally have a tan....I envy you!